From formal rooms and nurseries to bedrooms and bathrooms, it’s easy to incorporate wallpaper into every home–no matter your taste or budget. Our two removable wallpapers make it easy to spruce up an apartment, yet are equally wonderful for longer-term use. But don’t take our word for it. 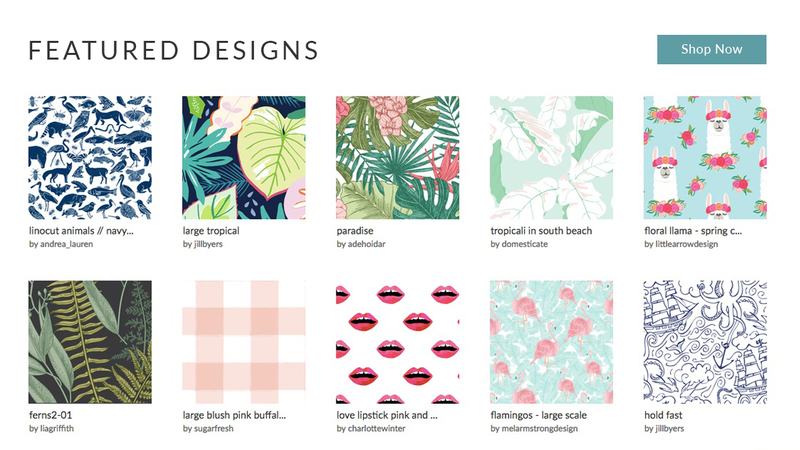 See how nine artists, makers and bloggers are using our wallpaper featuring designs from the Marketplace to make their space one-of-a-kind. 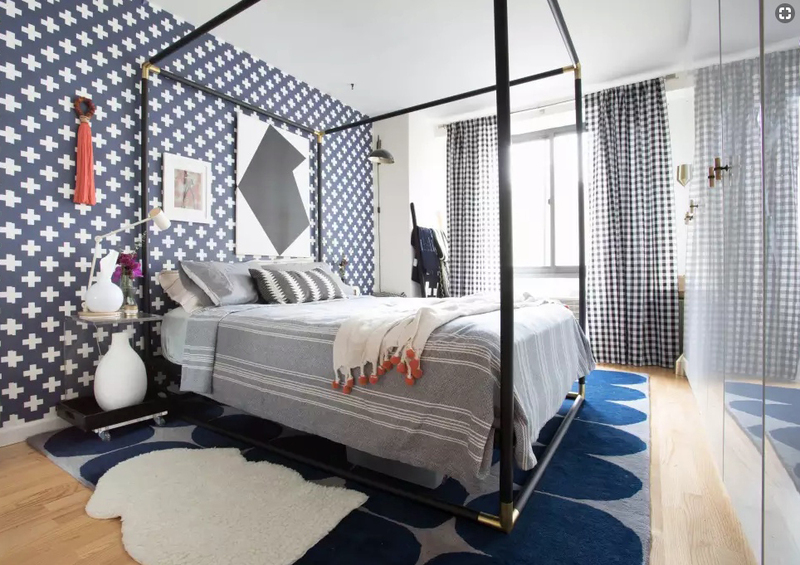 Large scale wallpaper has quickly made its way onto our list of must-try home dec trends and Arin Solange nailed it with her daughter’s bedroom makeover. 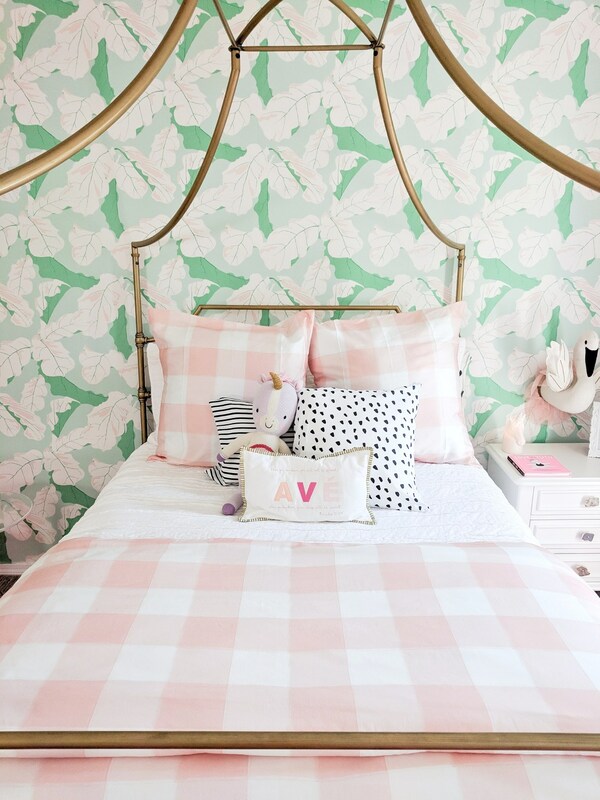 Domesticate’s Tropicali South Beach on Smooth Wallpaper takes center stage and the pink accents in the design are highlighted by the Gingham bedding from Roostery. 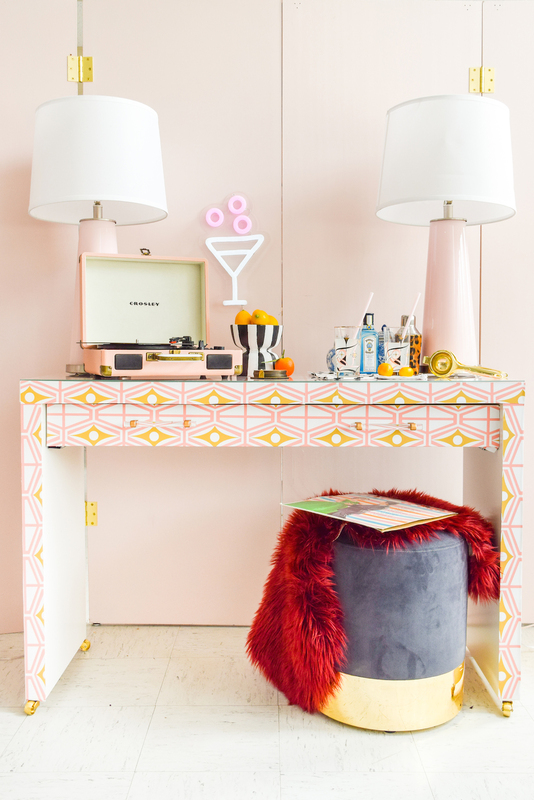 This might be a toddler’s room but we’re not afraid to admit we’d copy this look for ourselves! 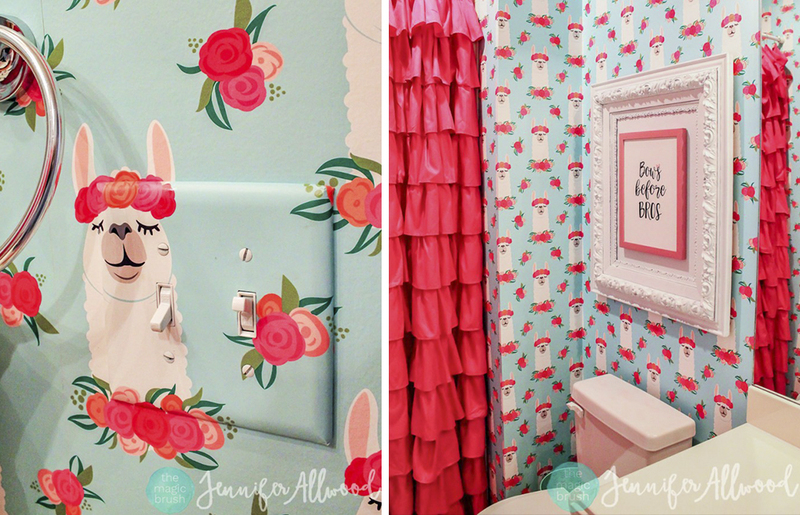 The ever-so-popular llama trend has finally made its way to our walls thanks to the bathroom makeover Jennifer Allwood put together for her daughter featuring Floral Llama by littlearrowdesign. If you’ve never installed wallpaper before, you’ll have no prob-llama–just follow this helpful installation video before you get started. Calling all plant lovers! What if we told you you could create the ultimate houseplant oasis without having to water a single plant? 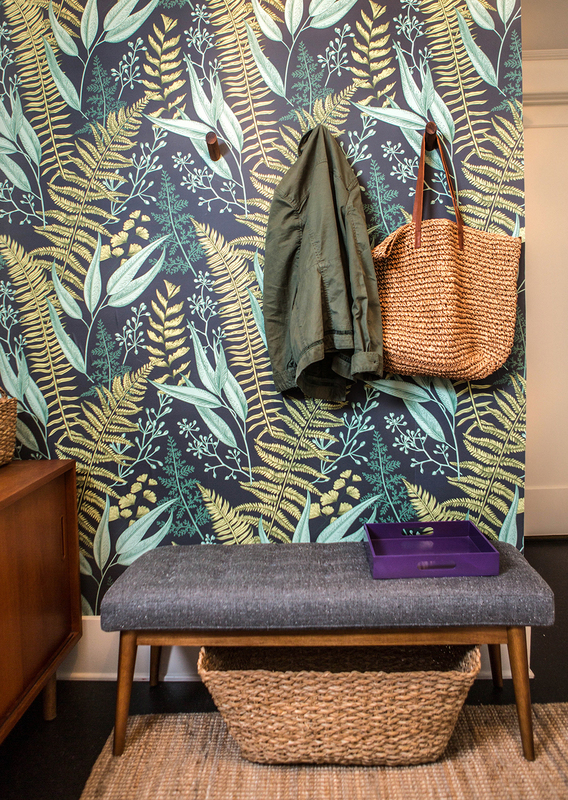 Lia Griffith found the answer with a little help from her fern wallpaper entryway and the results are stunning! 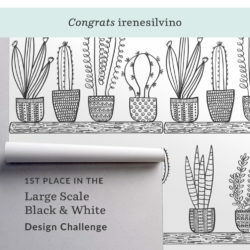 Find the large scale fern design in Lia’s Spoonflower shop and recreate this statement wall in any room of your home. It’s safe to say we could easily spend hours cuddled up on the couch with a good book in this reading nook! 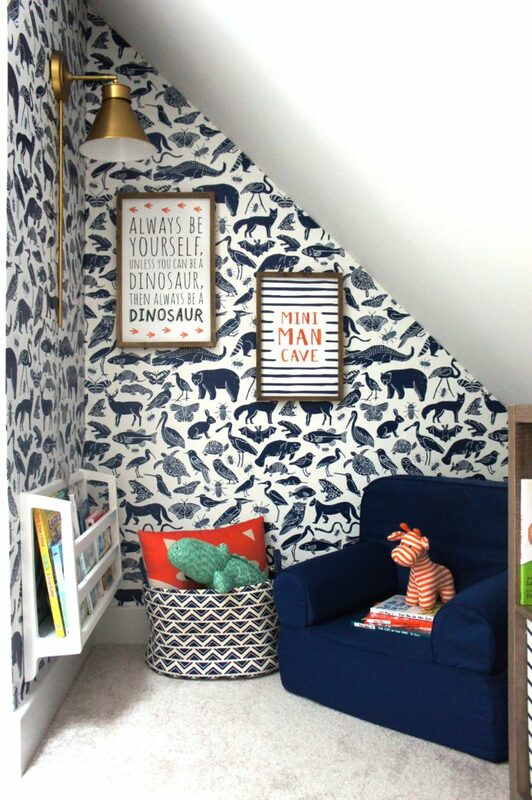 Jessica of Biggest Little Dreamers chose a linocut animal wallpaper to outfit the tiny corner, perfectly reflecting her son’s current love for all things furry and ferocious. Throw in a navy lounger chair and gold sconce and you’ve got a dream reading space! 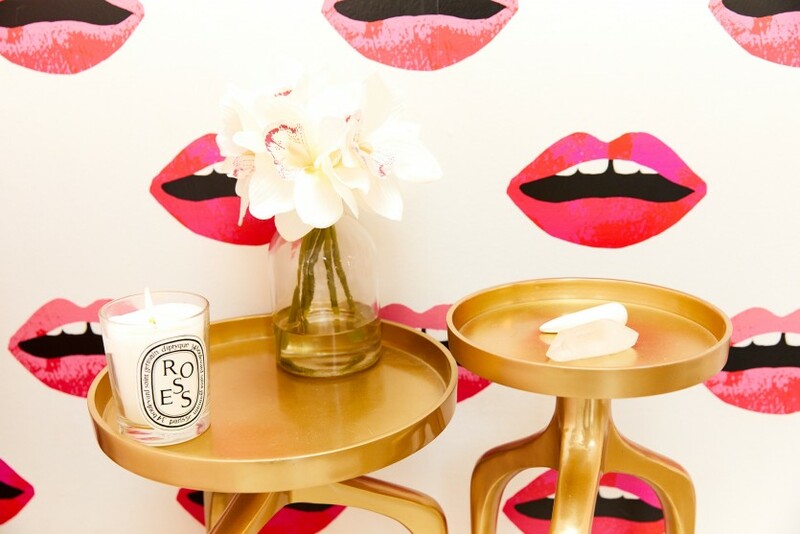 When you’re the ultimate girl boss, choosing an inspiring wallpaper for your home office is key to bringing the hustle (or at least the style!) 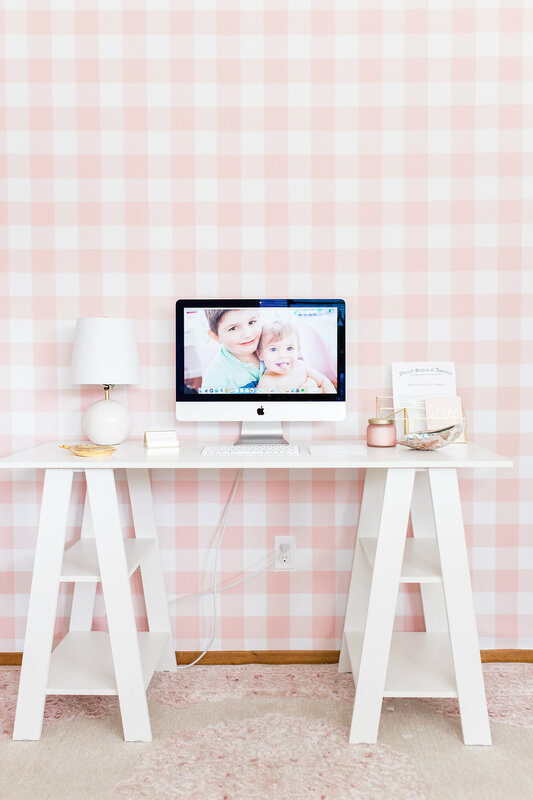 To make her new home office a space of inspiration, Melissa of Best Friends of Frosting chose a large scale pink gingham design for a modern take on a classic print. Ahoy matey! If building her own home wasn’t enough, Molly of the Destin Duchess, set out on the home makeover sea to turn her son and daughter’s rooms into a space that they could each call their own. 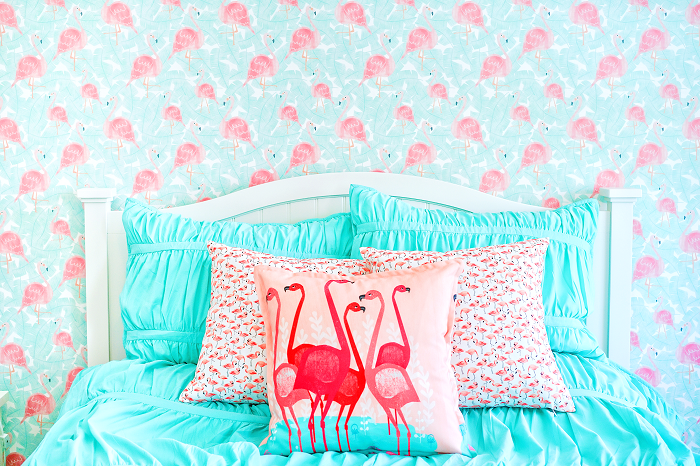 Her daughter’s flamingo room reflects her “bright and girly personality” with flamingo wallpaper and pillows, while her son’s room is inspired by his passion for pirates. 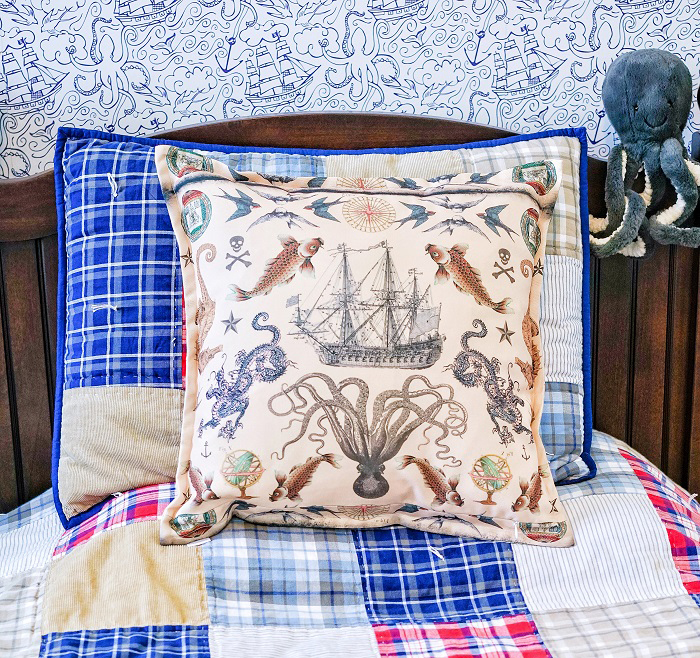 Just looking at the tattoo sailor wallpaper and Octopus pillow, you can see why he’s been spending hours in his room. 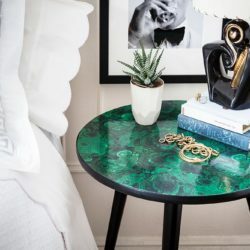 Describing her style as modern and soulful, interior designer Habiba Koroma is giving us a peek into her kid-friendly apartment over at Apartment Therapy. 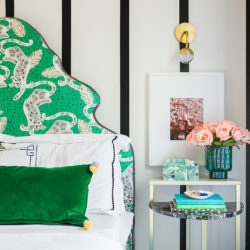 Playing up her modern style, Habbiba’s choice of a bold wallpaper design by holli_zollinger in her bedroom highlights her passion for design. 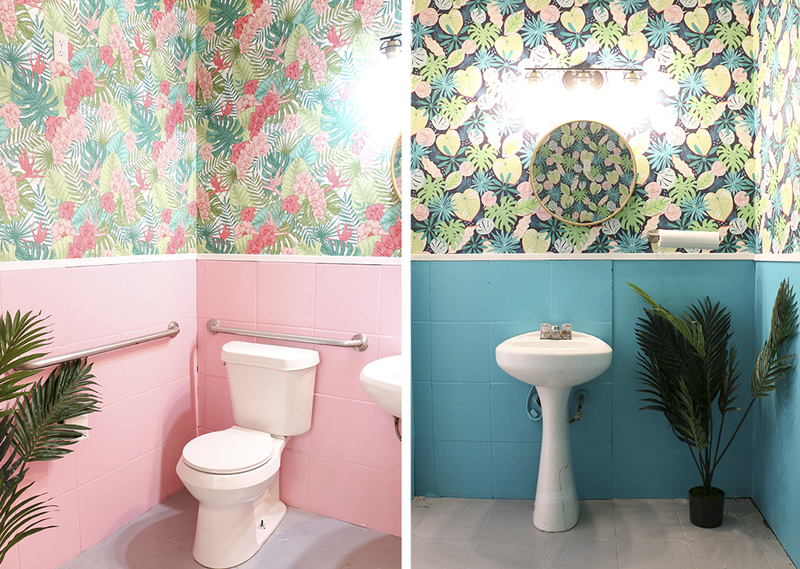 Tasked with the job of transforming the two restrooms at The Fomo Factory, a two-story interactive pop up shop in Austin, into a selfie-worthy spot, Kara Whitten of Kailo Chic knew wallpaper would be just the thing she needed. After one look at the before pictures, you won’t believe how she was able to turn these two rooms into a tropical oasis with this pink and green tropical wallpaper. Don’t stop at just walls! 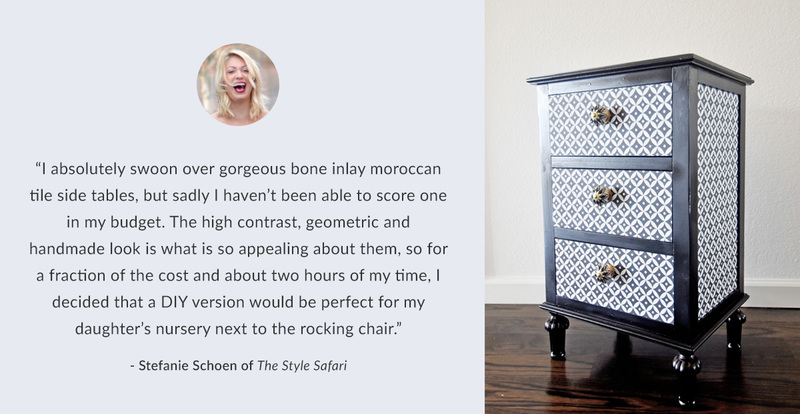 Custom wallpaper lengths starting at just one foot make it easy to tackle small DIY projects like recovering a thrift store bookcase or retro bar cart. 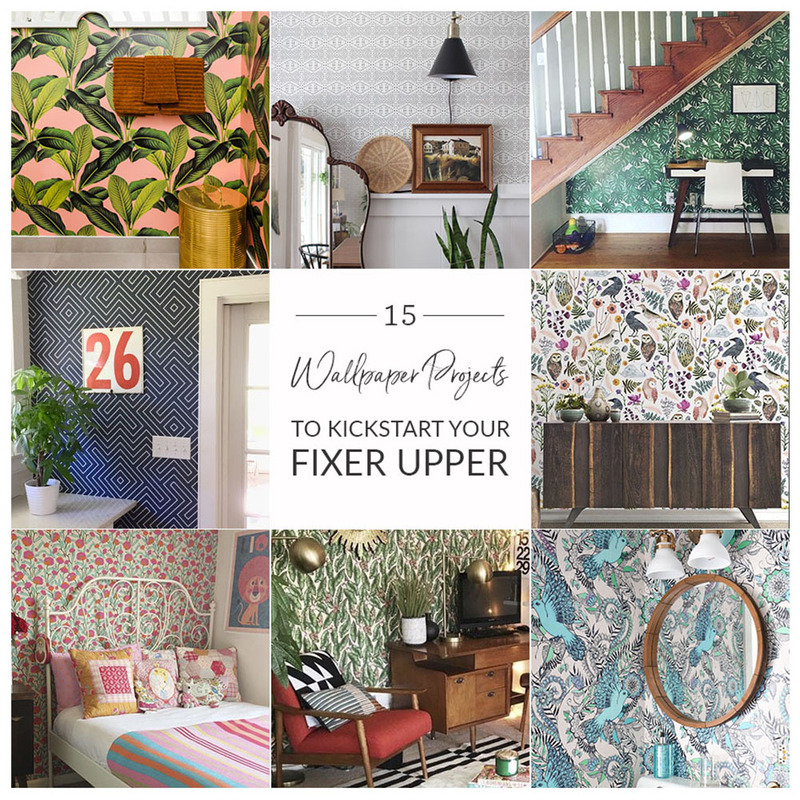 Find even more wallpaper inspiration with these 15 makeovers! Aaaah, wallpapers. There’s no way to NOT like them. These options are gorgeous!